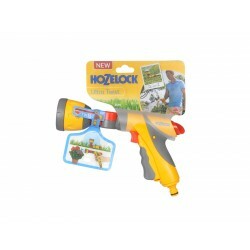 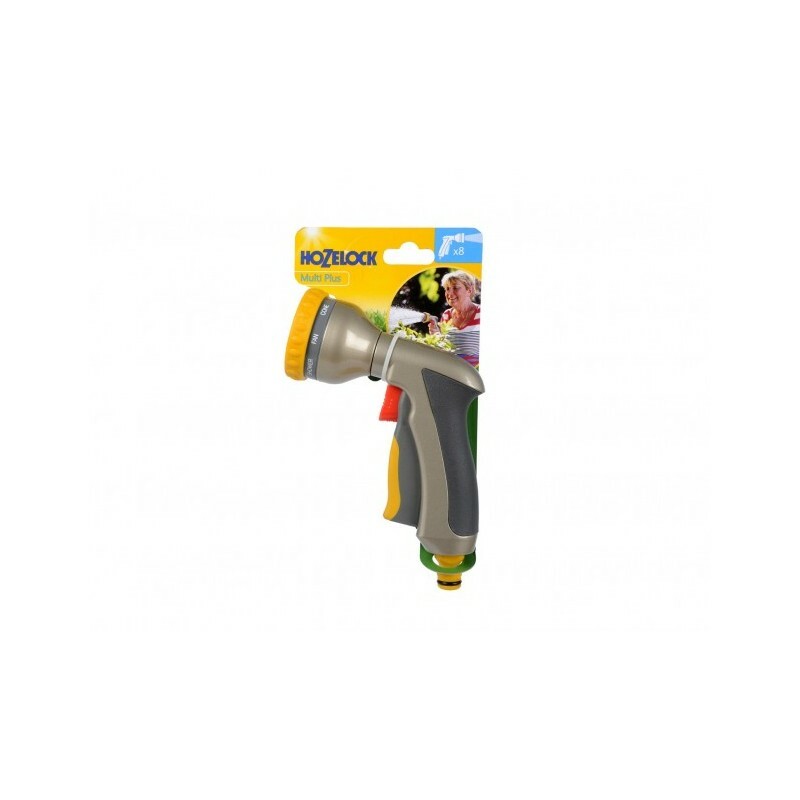 This Hozelock spray gun is a stylish metal bodied gun spray featuring eight varied spray patterns. 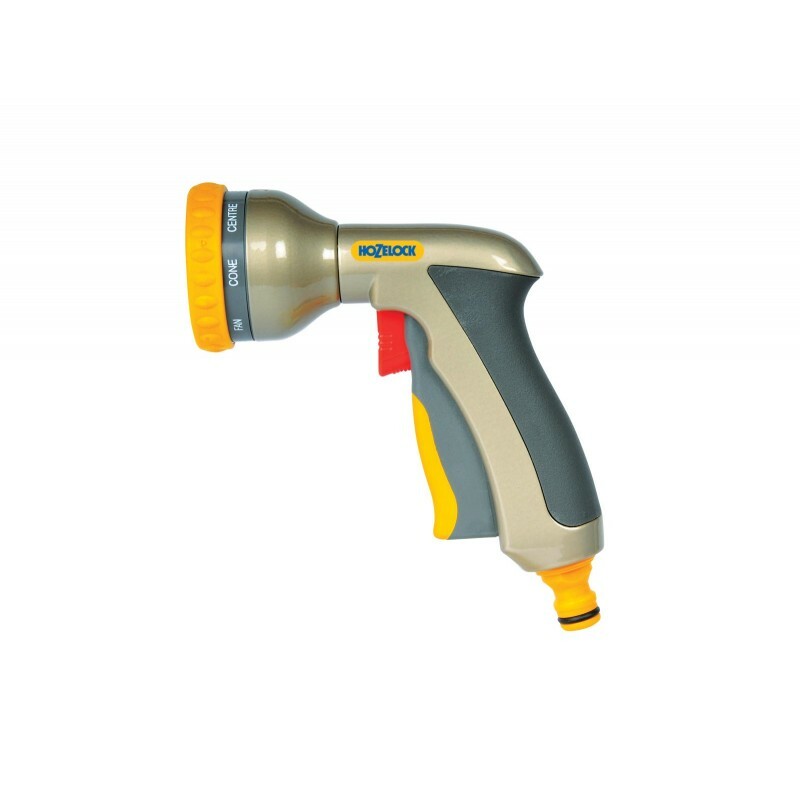 Water flow is regulated by how much you squeeze the trigger- the more you depress the trigger, the greater the amount of water delivered. 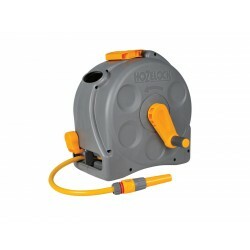 If watering for a prolonged time the trigger can be locked in position to reduce any strain on the hand.